When you sell your fresh produce at the market or the produce stand you have several choices. You can sell your items pre packed in a bucket or container for a fixed price or you can sell your items by the pound. As we’ve mentioned in the past, we’re fans of selling and buying produce by weight. This way both the customer and the seller know what they are exchanging. Let’s face it we’ve all purchased something over the years that we felt like wasn’t a good deal. One example might be a bucket of strawberries that a local u-pic farm was offering. They offer it at a certain price but how many strawberries did we really get? Take a look at the info below that discusses Illinois regulations. Commodities must be sold by net weight. The weight of the commodity must exclude any materials that are not considered to be a part of the commodity. These materials include containers, bags, labels, and wrappers. 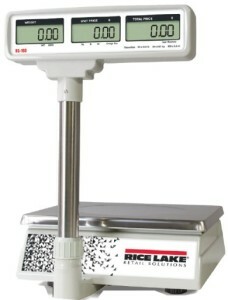 Commodities sold by weight must be weighed using a certified scale. All scales used in commerce must have a National Type Evaluation Program (NTEP) Certificate of Conformance issued by the National Conference on Weights and Measures. Scales receive an NTEP Certificate of Conformance after the successful completion of the evaluation and testing of the device. The Certificate indicates that the device meets applicable requirements for commercial weighing and measuring equipment in the U.S. Scales must be purchased from a registered service company. If you’re a loyal reader of our blog you understand by now that we are believers in buying NTEP Class III legal for trade scales. 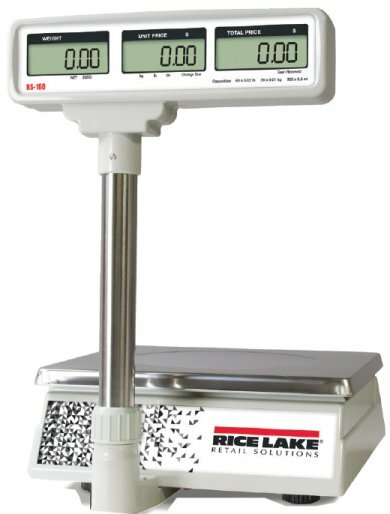 These scales are usually a higher quality product and are designed for accuracy and typically are built with a slightly more expensive parts list. This means that these scales usually have better load cells inside, better A/D boards, and just generally a better more solid structure. 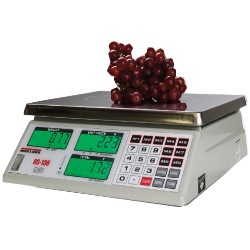 At most farmers markets around the United States, state inspectors use calibrated weight kits to validate and certify digital scales for commercial transactions. Laws and regulations can vary from state to state but generally it is a good idea to purchase a scale that is Class III NTEP approved, legal for trade. The scale will have a Certificate of Conformance (CoC#) that should be posted somewhere on the enclosure. Of course, this is something we’ve been saying for years and years but we still see sellers every now and then trying to use some cheap scale they bought on ebay for $35. In fact, next time you’re buying something over a digital scale like chocolate, candy, or frozen yogurt, take a look at the scale and see if you can find the CoC #. Take a look at the article below for additional info. At farmers markets, growers have the option to sell produce by weight. If they choose to do so, they will need to meet the South Dakota laws regarding certified scales. South Dakota Codified Law requires any device used in a commercial transaction to be an approved NTEP (National Type Evaluation Program) device, meet the requirements of the NIST (National Institute of Standards and Technology) Handbook 44, and to be certified and sealed (inspected) by the State of South Dakota Department of Weights and Measures. This includes countertop scales, typically found at farmers markets. Inspecting a scale is beneficial to both the vendor and consumer, as it ensures both parties are receiving fair and equitable treatment. For example, consumers want to feel confident they are “getting what they pay for,” while vendors need to know they are not giving away their hard earned product. We should also mention that you should get your scale checked and calibrated each year. We suggest doing this in February (or whenever your “slow” time of the year is) when your weighing needs aren’t quite as intense as they are in spring and summer. At this time you should make sure your scale is accurate and purchase any accessories like spare rechargeable batteries or keypads so there are no surprises during your busy time of the season.